Baby remember my name! 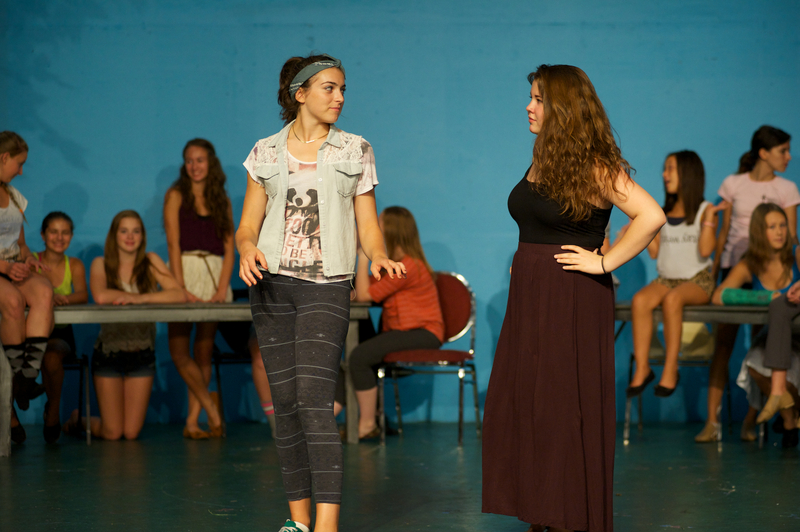 At least, that’s how the song goes and some of the kids who have been working this summer towards putting on the show Fame Jr. at Kelowna Actors Studio are definitely going to be names to remember! I dropped into a rehearsal earlier this week and listened with a smile on my face to these young kids who are pursuing their passion in musical theatre. Having caught last year’s student version of Les Miserable, I already knew the quality would be a lot higher than your average kid production. It’s through these shows that the kids get to hone their skills, preparing them for the main stage acts that KAS has become so well known for. This week I’ve been doing some photography work for Opera Kelowna and have had the joy of hearing KAS alumni Mark Wells, Chad Abrahamson and Carmen Harris singing. While their training and talents cannot be attributed to KAS, the theatre was where they got to cut their teeth and hone their skills, preparing them for the opera careers they’ve chosen. If you have kids and are looking for a fun show to take them to that won’t cost huge amounts and lets them see other kids in action, then Fame Jr. should be a perfect fit. Tickets are just $14 at the KAS box office and the show is nearly sold out, so if you’d like to go, act soon!. Show time is 2PM Friday, Aug. 9. You might also want to go just for the fun of it, even if you don’t have kids and are just looking a chance of one day saying, yes, baby, I remember your name!